To further our understanding of the first option, we booked a scouting trip to La Paz, Mexico in the winter of 2018. 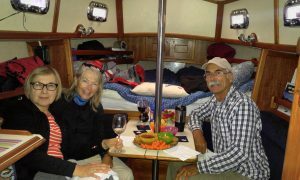 The idea was to trailer GWG to San Carlos, and then cross the Sea of Cortez, and meander down to La Paz as a temporary home base for other excursions over a three month period. Our visit to La Paz was enjoyable and informative. 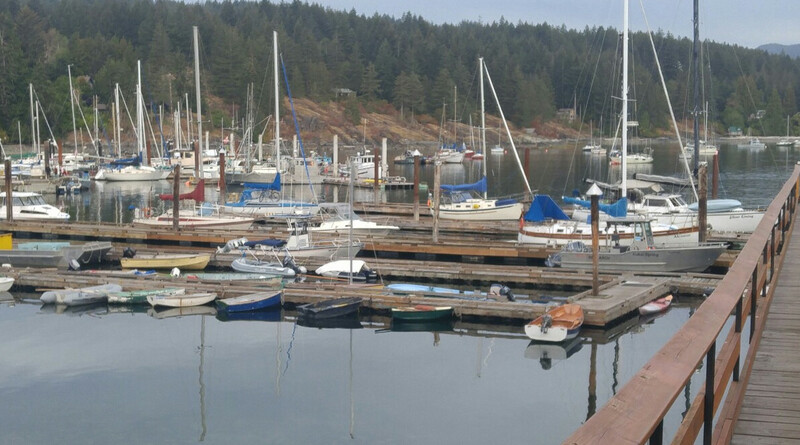 We stayed in three different locations, got to know more about available services, provisions, and the local sailing community. Local people were friendly, and the food was fantastic. The annual Carnivale celebration added a festive vibe to our visit. 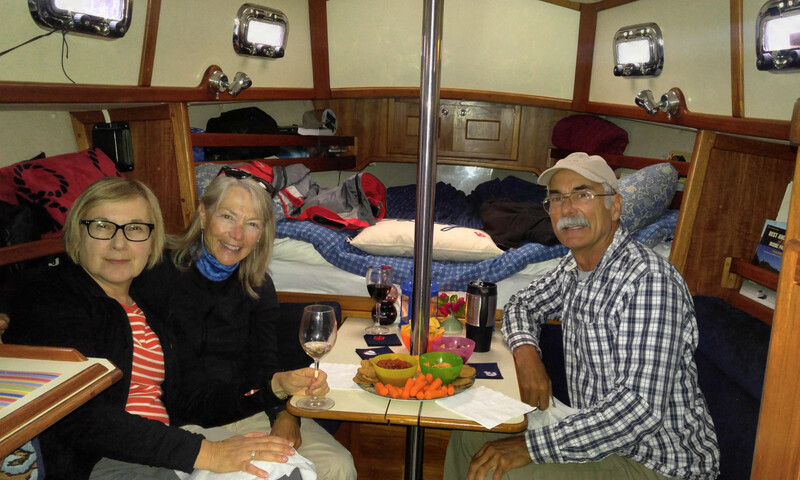 The arrival of friends on a Dana sistership, s/v Rag Doll also reinforced our enthusiasm. The military style police presence trying to stem the drug induced violence was a bit unnerving. We left, however, feeling much more confident about the possibility of a return by sea the following year. The second adventure was a bit closer to home. We have been sailing out on the Canadian west coast a few times but had never cruised together on our own. 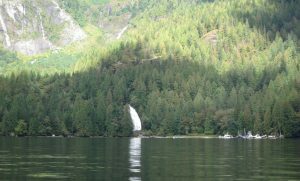 We wanted to see world famous locations like Desolation Sound, and Princess Louisa Inlet at our own pace over a five week period. Big Decision#1. Commit to going. Just like our previous trip to the Bahamas, a public proclamation helps to cement your resolve, and gets you motivated to move your feet. Declaring your intent is also infectious. In our case, setting a date motivated friends Brian and Terri to commit to the same time and place to buddy boat with us for part of the time. We were both the beneficiaries of public proclamation. Big Adventure#1 Getting Ready, and Getting There. 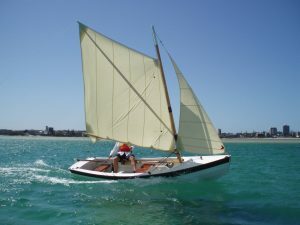 I built a nesting skin on frame dinghy called a Stasha. The eight foot inflatable dinghy was a real bother to stow on deck, and a real drag to tow behind us. The seven foot, thirty pound solution designed just for a Dana stretched my capabilities. It had only been in the water twice before this trip. 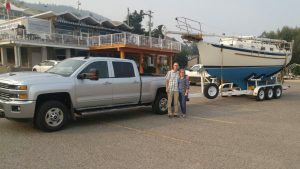 big trip this year, we upgraded our tow vehicle to a late model Chevy Duramax diesel. It pulled over mountain passes like a champ, and used the engine brake to coax GWG down the long steep grades in a much more manageable way. Even so, the wheel hubs can get pretty warm after a 30km long downhill run! I had pulled the empty boat trailer to my friend Harry’s yard to benefit from his knowledge and oversight while I serviced the bearings and brakes. A new keel bunk 2 x 12 and new led trailer lights ensured that we would likely enjoy an uninterrupted trip. A big side benefit was squeezing our rig into the driveway of friends Dallas and Donna for a night stay and opportunity to catch up with one another. Imagine winding your way down a narrow and steep section of Marine Drive just two minutes away from our destination at Thunderbird Marina. Coming up the hill towards us was a five ton delivery van. We both stopped, stared at one another, and tried to determine if the lane remaining was wider than either of our trucks. Suddenly the van lurched forward. He had decided. I think that holding my breath made the vital difference as the big truck barely squeezed between Go with GUST-O and the unforgiving rock face on his right. Whew! 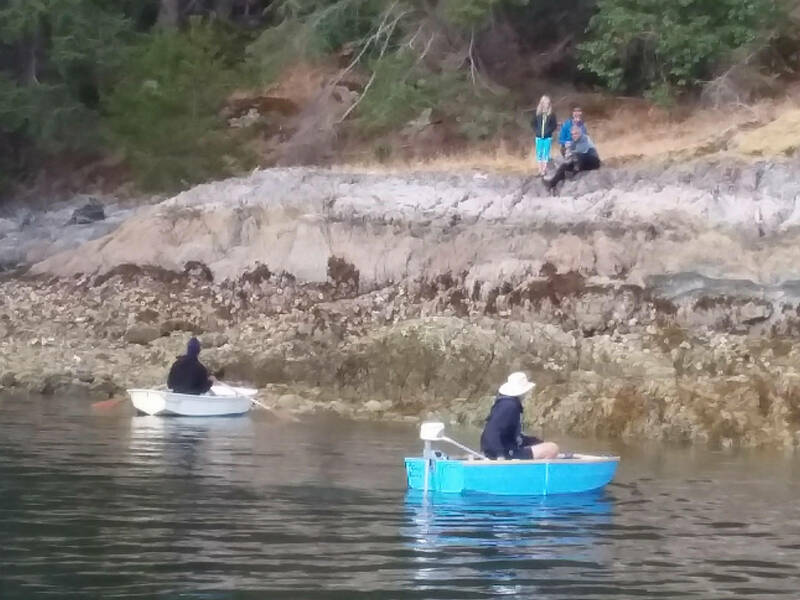 A long trip could have been wasted if we had been pushed over the cliff for an unexpected launch into the West Vancouver Yacht Club harbor on our right. Big Decision #2. We don’t want to own a boat based on the coast. 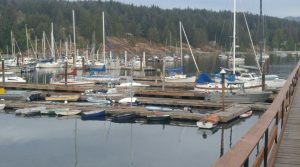 That is a big deal, given that many of us dream of retiring to a boat on the west coast. A bit of the dream has to die, or be redreamed when you accept this reality. 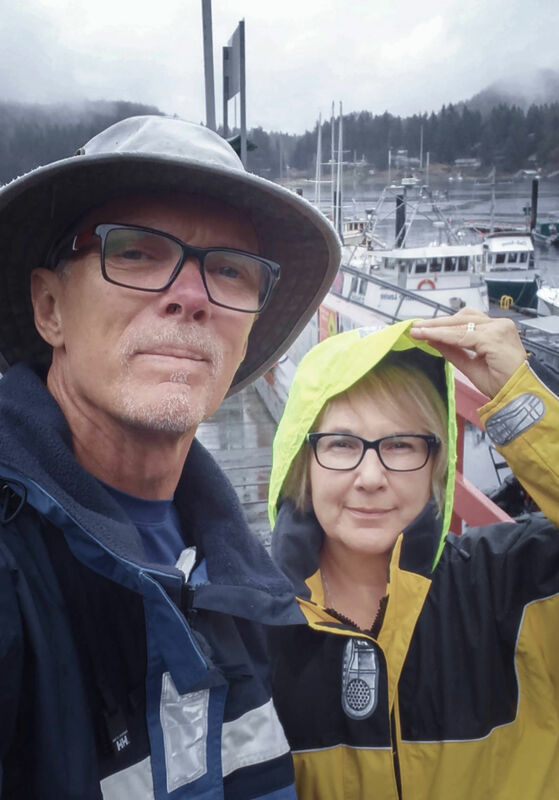 Frankly…we enjoyed our travels a lot, but we didn’t see the merits of visiting a lot of look-alike locations of rocks, water, trees in poor weather on a very expensive platform. Lake Okanagan is awesome in summer, and there are many places to see in this world where boats can be chartered. 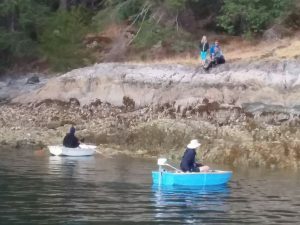 Big Adventure #2 There were several locations where crowded anchorages demanded that we stern tie to a rock face or tree stump in order to accommodate all of those people who bought bigger boats than we did. It wasn’t fun. I think an eventful stern tie at The Harmony Islands that nearly resulted in a grounding sealed our decision. Over crowding, rainy days, and lots of motoring did not seem to merit additional investment. Big Decision #3. Go With GUST-O is good for us. There is a part of the big sailing dream that includes a larger, more luxurious boat. Our Dana 24, Go With GUST-O is a luxurious high quality craft in her own right, but there were only a couple of times where there was a smaller boat than ours in the anchorage or marina. There are days when more space and personal privacy options would have been welcomed. Living for weeks in one hundred and ten square feet has its moments. Yet, GWG keeps endearing herself to us. She handled strong wind advisories, highway travel, shallow anchorages at low tide, and even some bumps from poor seamanship on our part. She may not be the right boat for every location or circumstance, but she is a stout, comfortable friend that sails better than I often give her credit for. We’re keeping her. ushers millions of cubic meters of water back and forth four times each day. 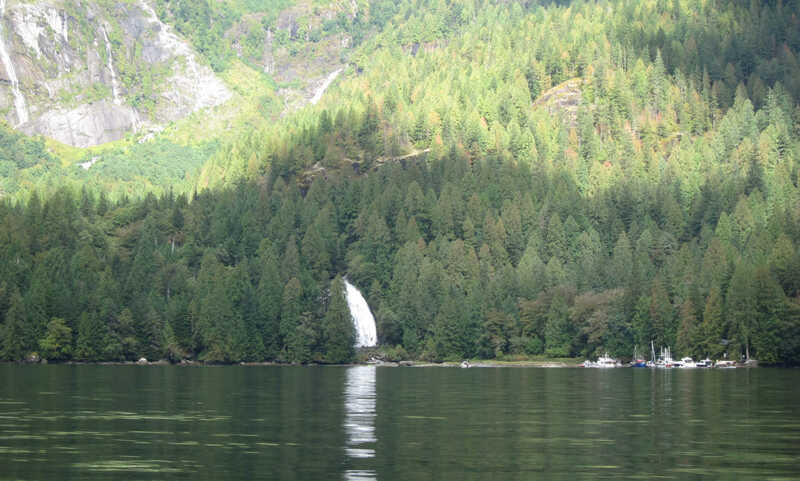 Once past the point of no return, it was evident that we were not quite yet at slack water. The last of the ebb tide was rushing against us, making progress difficult, and direction rather uncertain. I reached down and pressed down the throttle of our Yanmar 18 hp right up to maximum, and was so grateful for the heavy displacement of our little sloop. The big prop and high bow both dug in, went to work, and felt like that legendary storybook character The Little Engine That Could, as GWG navigated us to safety, while others watched from the conning towers of their large yachts waiting to transit in the opposite direction. I was proud of my boat. This is just one example of the way GWG predictably looked after us during our entire journey. Big Decision #4 We would not be returning to the Baja by sea. At least not now. Adventures are exhausting. Every day is a bit of a test. Even five weeks on the water can take a lot out of you and your boat if you are not used to it. We were kind of tuckered out. Go With GUST-O needed a bit of attention, and we were not up to the challenges of a long return road trip to a foreign shore right after this trip. My mother in law also needed some of our attention and monitoring over the next several months. We decided to stay put for a while. It seemed right. Big Adventure #4 Uncertainty IS the adventure.We hope to add a furler to our assymetrical spinnaker this year to improve GWG’s light air performance onLake Okanagan. Perhaps some long distance race entries? 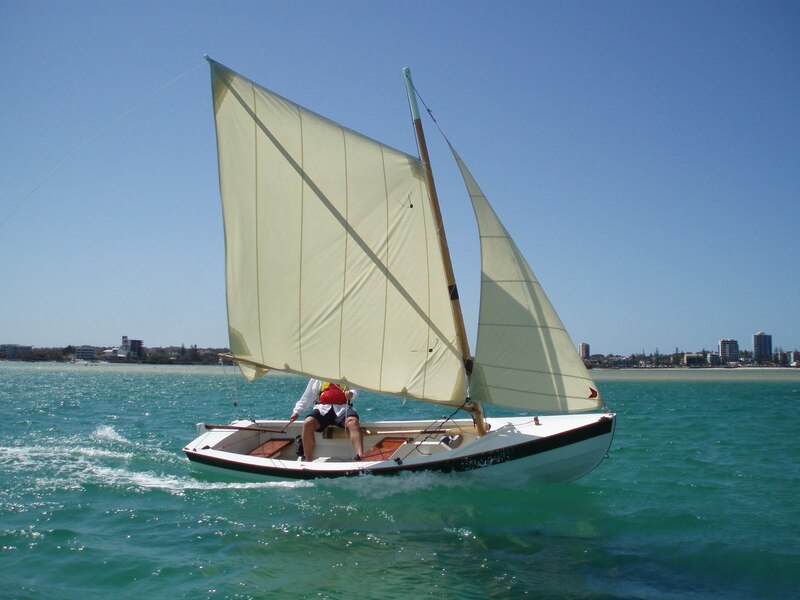 I’ve purchased plans to build a 15ft sail/row/ electric power skiff called First Mate for day or overnight excursions to other smaller neighboring lakes. Although I know not what lies ahead, there will be adventures, I am sure.